Thanksgiving – an American holiday built on gratitude, great food, and gathering with those we love. 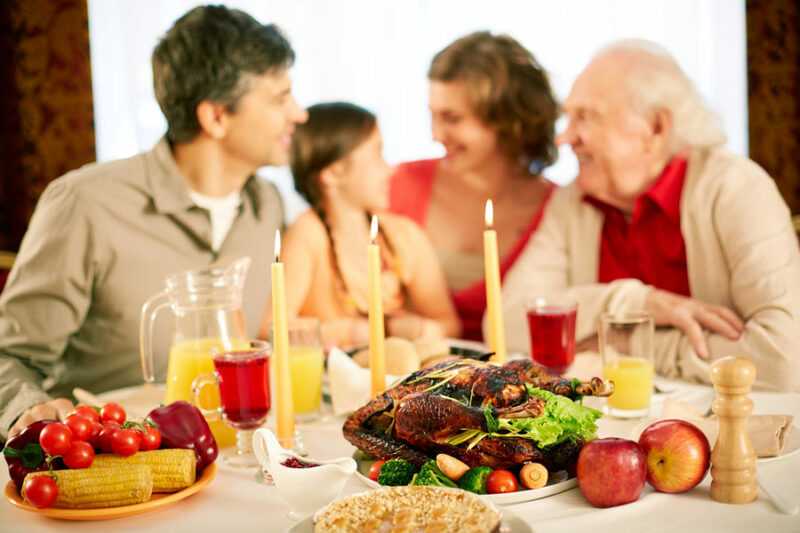 Each family has its own Turkey Day rituals, like helping Grandma make her special pumpkin pie with that secret ingredient, serving food to the less fortunate at a homeless shelter, or breaking up the meal into two parts in order to play a family game of football in between. For many people, Thanksgiving is all about crowding around the family dining room table adorned with a homemade turkey, stuffing, sweet potatoes, and cranberry sauce. While Thanksgiving at home is a beautiful, century-old tradition, there is an alternative that has an appeal of its own – dining at a local restaurant. With so many of the best restaurants in Dallas offering special Thanksgiving menus this year, it’s the perfect opportunity to try out a new experience. Anyone who has prepared a Thanksgiving meal before knows that it is not a small or easy task. From preparing the menu to decorating, setting the table, brining the turkey, smashing the mashed potatoes, stirring the gravy, and keeping an eye on the pies to make sure they get perfectly golden, cooking a meal for a large group of family and friends is hard work. Of course, the work does not stop there. There’s even more work to be done after the party, such as dishes and cleaning messes. When you dine at a restaurant for Thanksgiving, you can sit back, relax, and enjoy your meal and company while waiters and waitresses take care of the rest. In order to make sure that everything is ready in time for a Thanksgiving feast, the host usually gets very little sleep. Many components of the meal take several hours to prepare in order to turn out just right, which can cut hours out of sleeping time. Instead of waking up at the crack of dawn to start marinating your turkey, catch some extra Z’s and head to one of the restaurants open for Thanksgiving in Dallas. Many families take advantage of the long Thanksgiving break weekend and travel to a different city or state. While this is a great way to spend quality time, if you don’t have friends or extended family at your destination, you can end up feeling a little left out on Thanksgiving Day. Thankfully, there are several restaurants that offer Turkey Day specials featuring all of your favorite meats and side dishes, so you can still enjoy the fall holiday. If family dinners are part of your annual Thanksgiving traditions, it’s very likely that you prepare the same recipes each year. When you dine at a restaurant instead, you have the opportunity to try someone else’s take on the holiday. In addition, a Thanksgiving feast at a restaurant multiplies your food options. For example, at YO Ranch Steakhouse, you can enjoy anything from a Traditional Thanksgiving Feast and Jack Daniels Pecan Pie to Lobster Butternut Squash Bisque, Espresso Crusted Venison Chops, and Sweet Potato Crème Brulee. Unlike a meal prepared at home, a restaurant offers many different options for every palette and dietary requirement. Besides all of the work that goes into the preparing the feast, another daunting part of hosting a Thanksgiving dinner is having an abnormally large group of people in your home. Even the longest dining room tables and biggest family rooms can feel crowded around the holidays. Not only does this induce claustrophobia, it also prevents you from enjoying the company of your loved ones. 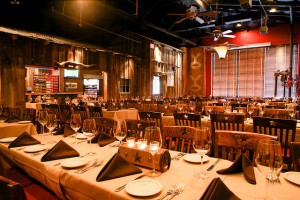 Many restaurants, such as YO Ranch Steakhouse, have private rooms available for large parties, with options for groups from 15 to 300 people. This allows everyone to enjoy their meal in their own personal space, with extra room to spare for group activities and photos. So when you’re thinking about your plans this Thanksgiving, consider trying something new and dine at YO Ranch Steakhouse. It might just end up being your family’s new favorite tradition.